Mission: To provide food, shelter, clothing and skills, and offer healing, faith and hope for building a wholesome life. Service description: Since 1906, The Ottawa Mission has been serving the homeless, the hungry and the lost by providing food, clothing, shelter and hope. It also provides health services, mental health supports programs, addiction treatment programs, hospice care, dental services, educational support, job training, spiritual care, and men’s clothing to thousands. Collaborative service agreement with Men & Healing: Men & Healing (Abuse Recovery) Phase I & II programming. Mission: To help residents rebuild their lives in a supportive community. Service description: With four houses for men and one for women, Daybreak Housing offers 46 residents a place to live without supervision. Residents engage in customized programs as well as attend regular house meetings, prepare meals, participate in outside activities, manage their personal medications, and meet with staff when needed. Collaborative service agreement with Men & Healing: Emotional Intelligence/Integrity programming. Mission: To promote community safety by providing client-centered support and services necessary to assist clients with responsible reintegration and lifestyle change. 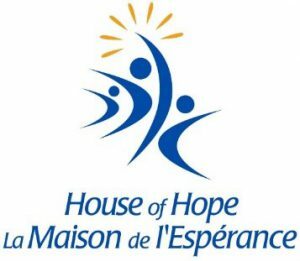 Service description: The House of Hope is a non-profit, organization that helps clients transition from a correctional institution into the community. Specific programs and services include residential services, relapse prevention, employment/education assistance, psychological and counselling services as well as assistance around life skills, interpersonal relationships, health, and self-responsibility. Mission: To rehabilitate young men who are chemically dependent, to instill in them self-discipline, and to reintegrate them into society by an inner change brought about by faith in Jesus Christ. Service description: Harvest House helps residents re-enter society through a variety of programs, such as addiction treatment, skills development training, group counselling, anger management, and recovery education. It further offers a 24-bed main facility and four re-entry houses to help men addicted to drugs and alcohol turn their lives around. Mission: Effective, just and humane responses to crime and its causes. Service description: The John Howard Society of Ottawa, is a not-for-profit charitable organization that provides a broad range of evidence-based community services throughout the Ottawa area. It has a strong history of helping individuals and families who are at risk of, or have come into, conflict with the law. In particular, it provides prevention and intervention services while promoting advocacy, public education, and community partnerships. Collaborative service agreement with Men & Healing: Men Moving Forward (Abuse Recovery), Phases I & II programming.